Orphan disease, also known as a rare disease, affects a small percentage of the population. In some parts of the world, an orphan disease is a rare disease whose rarity means there's a lack of a market enormous enough to gain provision and assets for discovering treatments for that diseases, except by the government granting economically advantageous conditions to creating and selling such treatments. Orphan Drugs is medicine, vaccine, or in-vivo diagnostic mediator that is anticipated to diagnose, treat, and prevent an unusual disease or medical condition including chronic diseases. Most of the orphan diseases are genetic and thus are present through the individuals’ entire lifespan, and the indications may not immediately act. It is projected that approximately five to eight thousand rare diseases are present currently, and approximately 30 Million people are suffering from rare diseases in the European Union that is around 8% of total European population. Moreover, according to the National Organization for Rare Disorders (NORD), ratio of orphan disease occurrence is 1 in 10 people with more than 350 million people worldwide, and approximately 50% of the people affected by this disease are children. The symptoms of most of the orphan diseases may appear at birth or in childhood, for diseases such as cystic fibrosis, infantile spinal muscular atrophy, familial adenomatous polyposis (FAP), patent ductus arteriosus (PDA), and lysosomal storage disorder. However, some of the disease indications appear during middle age, this type of disease includes acute myeloid leukaemia, glioma, and renal cell carcinoma. The determined number of orphan diseases has notorious genetic origins. While, some diseases are the result of bacterial and viral infections due to degenerative causes. The Global Orphan Drugs market is majorly driven by growing number of people suffering orphan disease. Moreover, regulatory bodies are collaborating with research institutes and promoting research & development structure on the orphan disease, further propelling the growth in orphan drugs market. For instance, The European Union seventh frame work program for research and technical development is anticipated to bolster the research into these diseases. In addition, National Organization for Rare Disease (NORD) is authorized to provide the technical and scientific information for orphan diseases to patients, families, and public. These patient support programs offer information regarding disease-specific medication as well as treatment. However, high initial investment and high treatment cost might hinder growth in global orphan drugs market. Moreover, the regulatory framework and standards vary from country to country, making it difficult for key players to operate on a worldwide level. 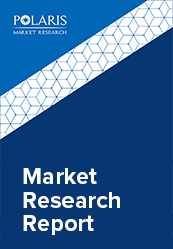 The global orphan drugs market is segmented on the basis of disease type, product type, distribution channel, and geography. On the basis of geography, the global orphan drugs market is segmented into North America, Europe, Asia Pacific, Latin America, and Middle East & Africa. In terms of geography, North America is observed to dominate the global orphan drugs market. Factors such as well-organized healthcare organization, favourable guidelines and government support for the approval of drugs for rare diseases, drug individuality status acknowledged by orphan drugs, and resourcefulness by non-governmental & governmental activities to increase consciousness regarding the use of orphan drugs for treatment of rare diseases are augmenting the orphan drugs market in North America. Within North America, the U.S. subsidizes significantly to the orphan drugs market as more than 30 million people are reported to suffer orphan diseases in the country. This high occurrence demand for strong R&D for development of orphan drugs further propelling the market. The Asia Pacific orphan drugs market is expected to register higher growth during the forecast period. Rapidly evolving healthcare substructure and increased R&D activity in this region are factors expected to provide healthy growth of orphan drugs market in Asia Pacific during the forecast period.